Bamiyan - Explore the furthest place on Earth, you should try Afghanistan. The country that had been torn into this conflict turned out to have a beautiful lake really. The name of the lake is Band-e-Amir. This lake is very magical. 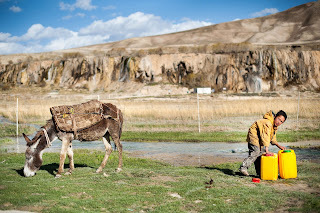 Among the arid desert and dusty, there is a lake that is very blue and calm. Anyone who sees, does not believe it! 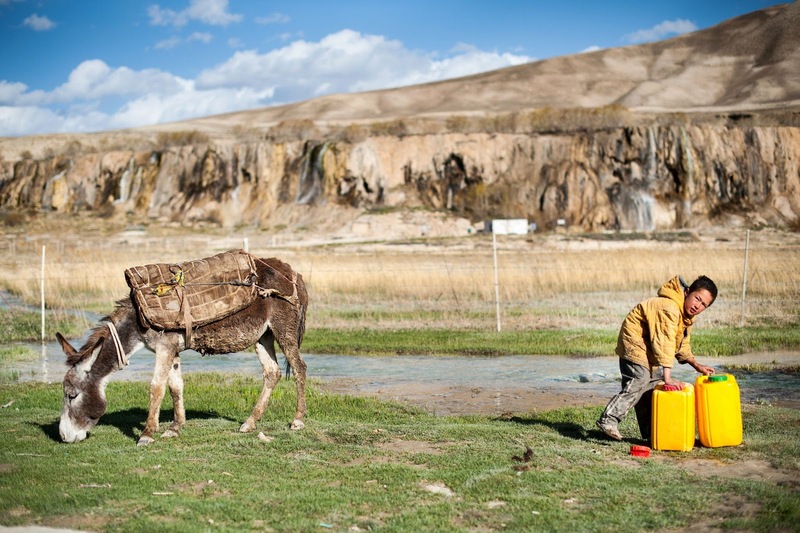 Judging from the UNDP UN website on Monday (19/3/2018), Band-e-Amir and the Northern Plateau are a special place in the interior of Afghanistan. The total reaches 40,000 km2. Naturally, this is the habitat for wild cats such as leopards, birds, deer, and other rare animals. Although in the interior, tourism in this region continues to grow lately. In the height of the holiday season, there could be 5,000 tourists coming in 1 day. Being at an altitude of 3000 masl makes the atmosphere in Band-e-Amir increasingly fierce. Band-e-Amir is a collection of five blue lakes. It is located in the central part of Afghanistan and has become a national park for the country. Band-e-Amir deserves to be called a wonder of nature. Band-e-Amir has a blue color like the ocean. Uniquely, the blue color looks contrast with the barren-colored mountains are grayish. In fact, the water is very calm and there are no waves. Completely hypnotized! There are 14 villages around Band-e-Amir. They are of concern to UNDP to be helped because of all the backwardness and limitations of living facilities there. UNDP provides stove assistance, soft loans, solar cookware. Residents are also taught to farm and raise better. 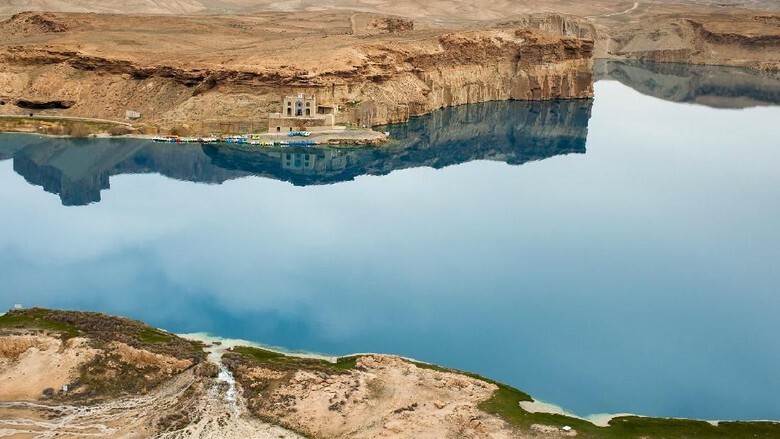 You can come to every lake in Band-e-Amir. Of the five lakes, Band-e-Panir is the smallest with a diameter of about 100 meters and the largest lake is Band-e-Zulfiqar with a length of 6.5 kilometers. For the lake most easily reached by the traveler, is Band-e-Haibat. In this lake there are several inns and boat rentals to explore the lake. Well, Band-e-Amir is the most beautiful among the others and the most difficult to reach. 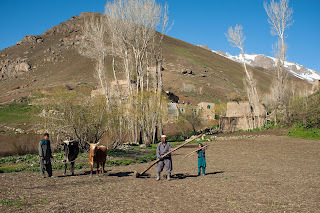 Traveler must pass through Bamiyan City, about 80 km from the lake by rental car. The journey can take about 5 hours more. But, the sense of breaking the tiredness of travel is greatly paid for when footing in Band-e-Amir. The breath seemed to stop and the eyes were reluctant to blink. Magical, unique, strange, unable to describe the view of Band-e-Amir in front of the eye. Band-e-Amir also has a ranger. His job is to supervise the national park from looters and monitor tourists not to waste, use soap or make fire. Because it is so remote, Band-e-Amir is quite difficult to access. 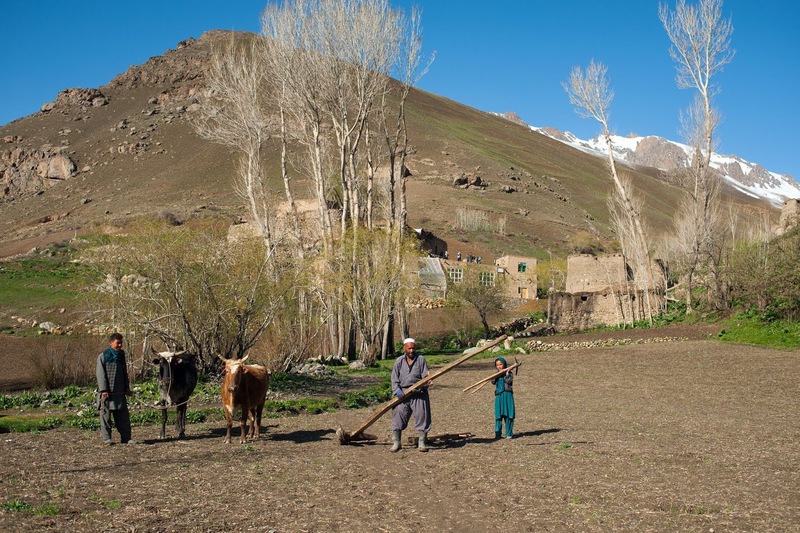 Travelers must visit the ancient city of Bamiyan, about 80 km from the lake. After a road trip with a minivan, continued trekking in the desert until finally arrived at the edge of this lake. For the accommodation business is easy-difficult. According to UNDP, in 2015 there was an effort to build a 500 room hotel. But this plan is null and void in relation to a location whose position is above sacred. Traditional manners are still well preserved here. 0 Response to "Believe it? There is this beautiful lake in the interior of Afghanistan"